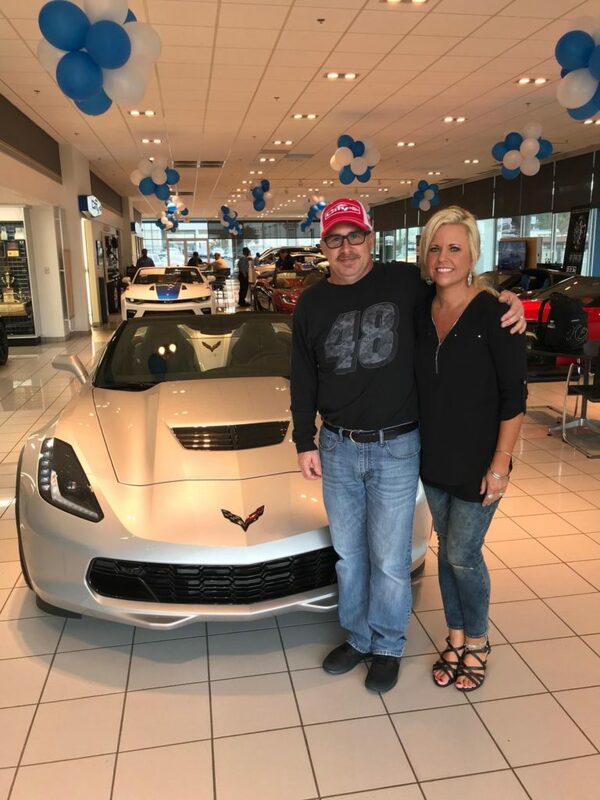 Congratulations to Jerimy, who won Jimmie’s 2017 Chevrolet Corvette Z06 Convertible 3LZ! Jimmie handed over the keys on Tuesday, November 7, 2017 at Rick Hendrick City Chevrolet in Charlotte, NC. Anyone who purchased a ticket and chose to opt-in to receive emails from the Jimmie Johnson Foundation will receive an email after the winner is announced (please allow up to 24 hours to receive the email). If you did not opt-in to receive emails when you purchased your ticket, unfortunately you will not receive an email.